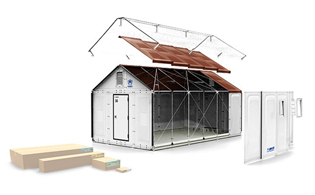 Ikea will manufacture 10,000 flat-pack temporary housing shelters to be used for displaced refugees around the globe. Having won an honorary award at the Swedish Design Awards last year, Ikea's prototype design for flat-pack temporary housing shelters is finally going into mass production. 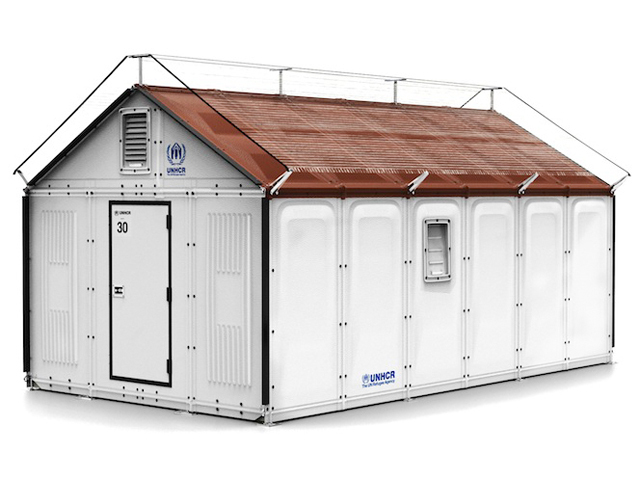 Designed to provide temporary housing for refugees made homeless by war or natural disaster, Ikea will manufacture 10,000 shelters for the United Nations Refugee Agency (UNHCR), which will allocate and distribute the shelters to displaced families around the globe. "Putting refugee families and their needs at the heart of this project is a great example of how democratic design can be used for humanitarian value," said Jonathan Spampinato of the Ikea Foundation. "We are incredibly proud that the Better Shelter is now available, so refugee families and children can have a safer place to call home." 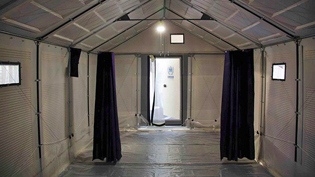 With an expected lifespan of three years, the shelters are designed to be more durable and better insulated than traditional refugee tents. Measuring 17.5 square metres, they are also twice as large and accommodate five people. The shed-like structures are built from lightweight polymer panels laminated with thermal insulation, which clip onto a steel frame. Panels, pipes, connectors and wires all come flat-packed in cardboard boxes like Ikea furniture, and take four hours to assemble without the need of additional tools. A solar panel on the roof provides enough energy to illuminate the interior after dark.